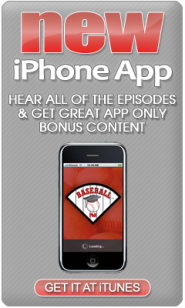 This podcast features baseball sportscaster great, Ernie Harwell. 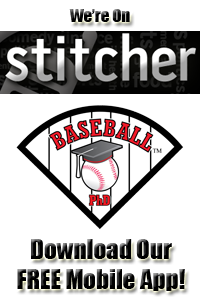 Our PhD Committee first reviews Major League Baseball’s playoff expansion idea of adding an additional wild card team in each league and then shifts into analyzing who is listening to our podcasts. Then it’s time for Harwell. 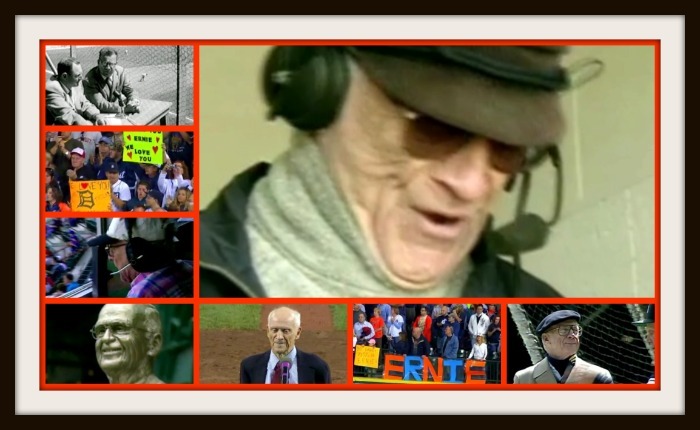 Hear Harwell’s moving 1955 poem – The Definition of Baseball, then hear Harwell’s account of baseball’s Shot Heard ‘Round the World. 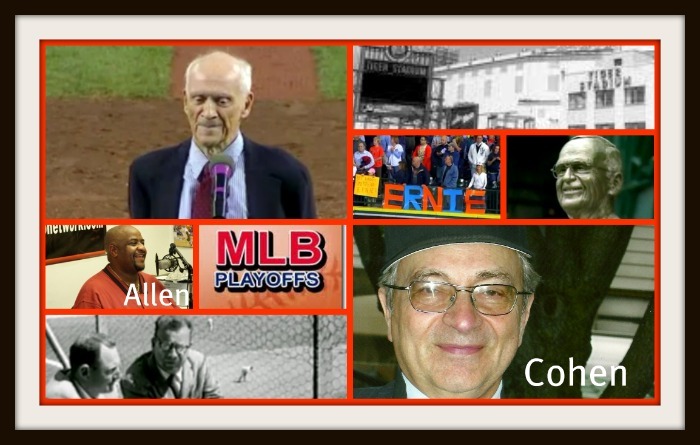 Ed Kasputis then interviews baseball author, Irwin J. Cohen about his friend, Ernie Harwell. The podcast concludes with At the Mixer with Marty Allen as Marty relives his most memorable day in radio – Sunday, October 26, 1997 as our PhD Committee gets ready for our next podcast featuring sportscaster great, Mel Allen.